It all started in the Old Salutation Inn, a popular hostelry overlooking the river Teifi and the bridge in Adpar where Thomas Heslop, a West Indian gentleman, then living in Carmarthen, was staying. He and others had been invited to go on a partridge shoot by John Beynon, a local solicitor of Llwyncadfor Farm near Llandyfriog on Thursday September 8th 1814. It is believed that John Beynon was the son of Thomas Beynon of Llaethliw. That evening after the shoot John Beynon invited thirty six year old Thomas Heslop, together with others to spend an evening at the Old Salutation, to dine and drink. A dispute arose on the subject of the day's shooting. Heslop claimed that he had had a very bad days sport, because he not been allowed to shoot when and where he pleased. He blamed the Cardigan gentlemen (Cardis) present. Beynon tried to diffuse this outburst by making derogatory remarks about the barmaid. This inflamed Heslop, as he fancied the barmaid, and objected strongly to John Beynon's coarse comments and turned round and called the solicitor a damned villain and scoundrel and challenged him to a duel. John Beynon accepted the challenge and two days later in the early morning of Saturday September 10th the two men, together with their seconds, John Walters and James Hughes and also a surgeon, John Williams, met in Dan-warin fields through which ran a stream. Standing one on either side of the stream, with their backs towards each other, they prepared to walk the ten statutory paces, before turning and firing. This verdict did not go down at all well in Adpar and Newcastle Emlyn the local people knew that an injustice had been done and were after Beynon's blood and he had to go into hiding in a cellar in a house near the bridge in Newcastle Emlyn before escaping to America. Nothing more was heard of him. Not so Thomas Heslop, he was buried by the Rev. John Williams, the vicar of Llandyfriog, in the Churchyard on Monday 12th September 1814. Dylan Thomas lived near the banks of the river Aeron in the 1940s, at a secluded mansion called Plas Gelli, just outside Talsarn. He called the Aeron valley "the most precious place in the world." 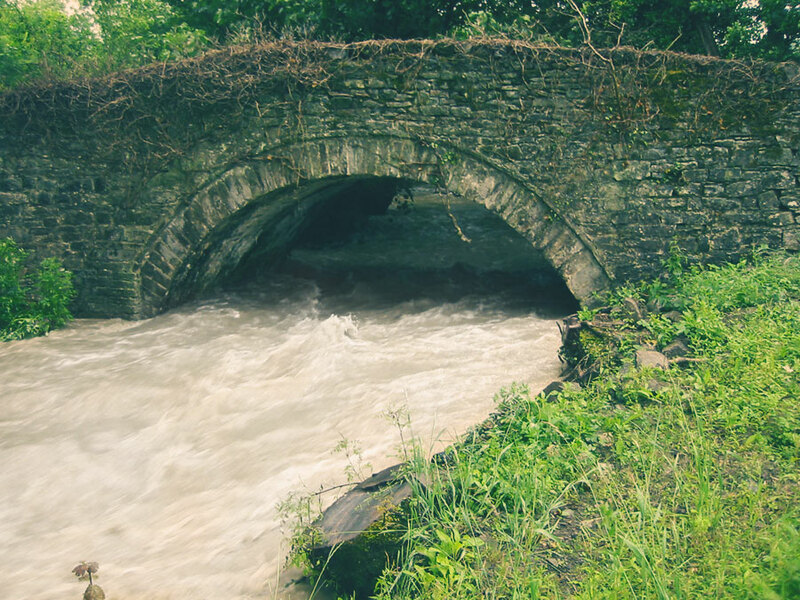 The Dylan Thomas Trail follows the river from Talsarn to Aberaeron. This trail passes close to Llaethliw. Thomas is remembered by most for his final play 'Under Milk Wood'. Started in New Quay and partially written at Southleigh near Oxford, then finally completed in New York minutes before its first public performance, 'Under Milk Wood' has stimulated a long-running debate as to which town is the model for 'Llareggub'. Local Author David Thomas notes that many of the characters (from New Quay) were written in long before Dylan Thomas ever visited Laugharne. He has clearly established a strong case for New Quay being the model for 'Llareggub' while the name 'Under Milk Wood' is probably taken from farms called 'Wernllaeth,' Llaethdy' and Llaethliw' where Dylan was taken by his good friend, the Aberaeron vet Tommy Herbert. Dylan and Caitlin's daughter Aeronwy was named after the river Aeron.